This year we have quite a few family Christmas events to go to and I thought it would be cute to dress Whiskey up a bit for the festivities. 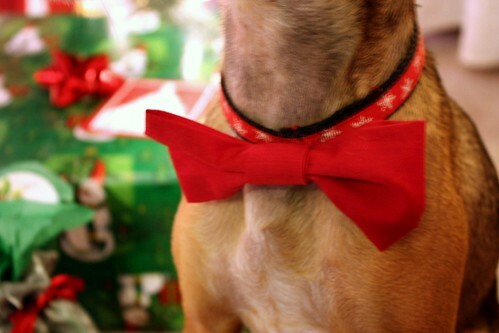 Doesn’t he look handsome with his little Christmas dog bow tie? 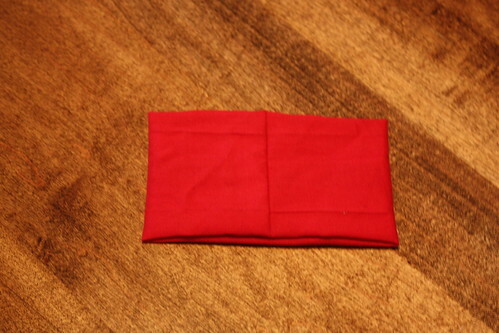 It only took 10 minutes to make it and I was able to do it all with some scraps I had in my fabric bin. 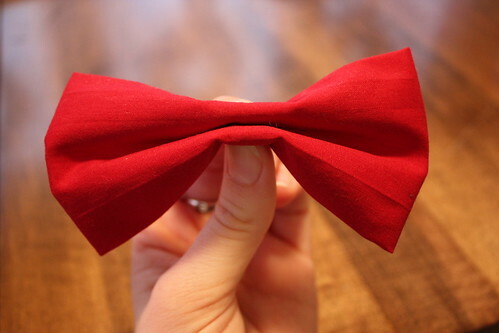 You could use the same bow pattern for just about anything – headbands, tops, its up to you. 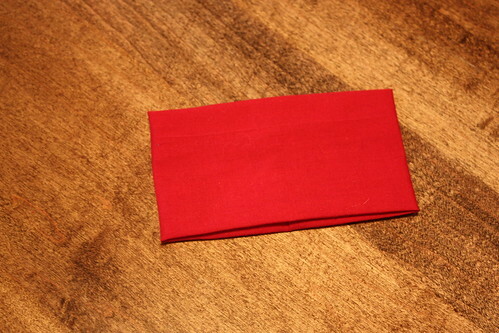 Take a rectangle of fabric that is twice as wide as the bow you want. 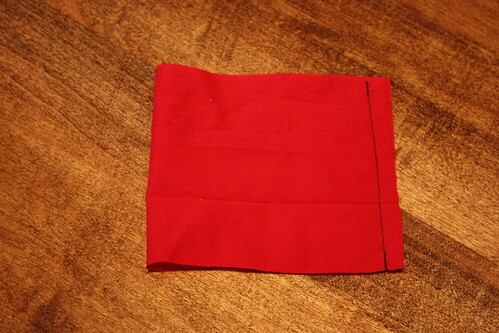 Fold the fabric in half with the good sides in and stitch along one side. 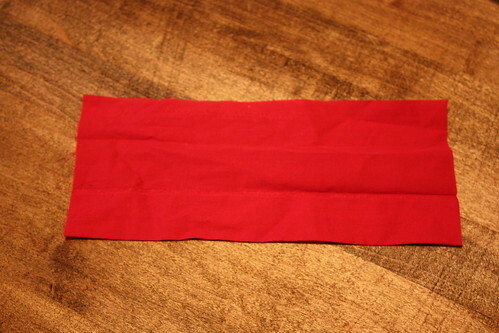 Turn inside out and then move the seam to the centre. 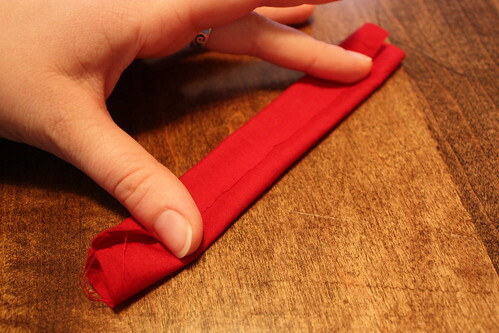 Fold the top and bottom edges in. Press with an iron for a couple of seconds. 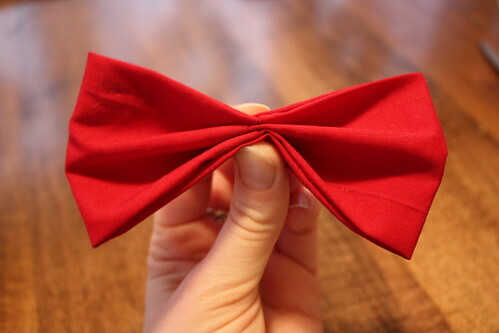 Fold the bow in half with the good side on the inside. 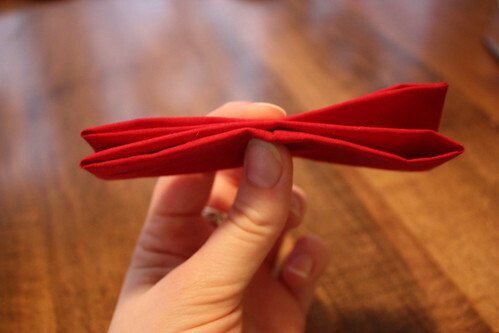 Fold each side over again. This is what the back will look like. 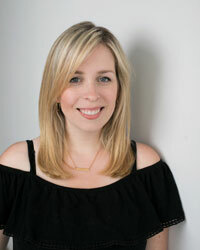 And here is the front view. Pin and set aside. 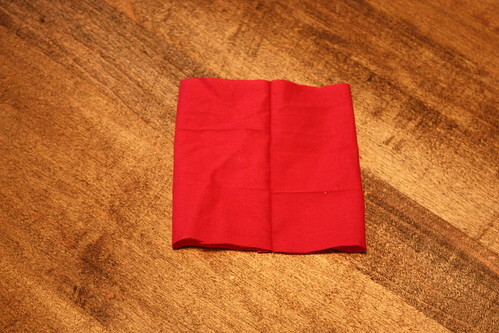 Take another scrap strip of fabric and fold it in thirds. 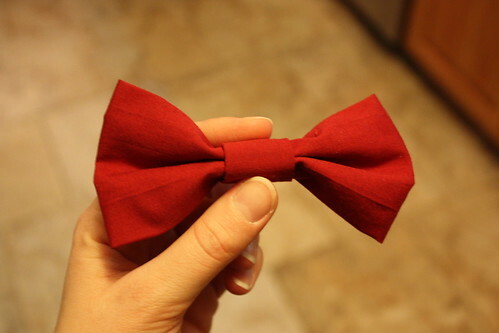 Wrap around the bow and secure with a couple of stitches at the back. I attached it to Whiskey’s Christmas Collar with a couple of stitches that I can remove after the holidays. 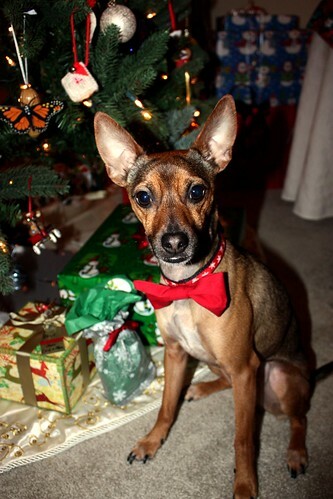 Now Whiskey is all ready for the festivities to begin! 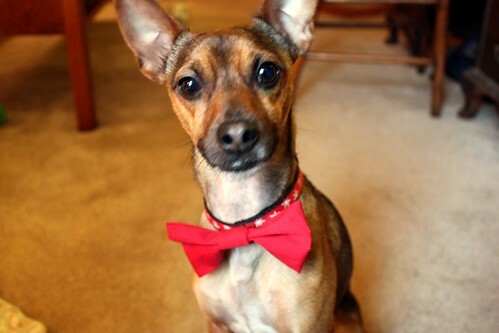 Oh, Whiskey you look so handsome in your bow tie!!! Merry Christmas Amanda, Garrett & Whiskey!